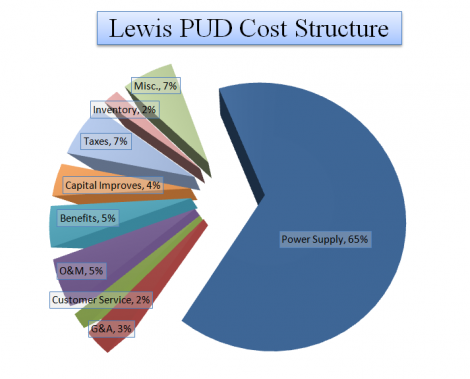 Lewis County PUD strives to maintain the lowest rates possible while maintaining safe and reliable power. A key part of that process is deciding what the rates are and how they are structured. 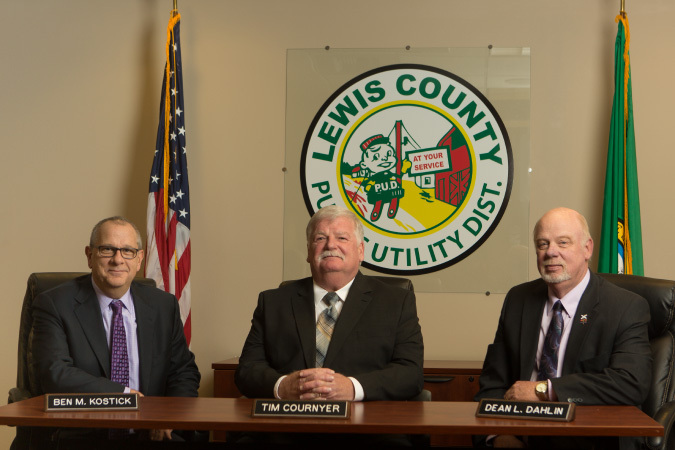 The board of commissioners and staff review budgets, sales forecasts, and wholesale energy rates on a frequent basis in order to maintain stability and equity when setting rates. What costs are included in the rates? PUD costs can be broken down into 3 major buckets. Demand – Demand costs are largely comprised of the cost of the transmission between generators and customers (aka – The Grid). Fixed – This classification includes all of the fixed assets we see throughout our community. It includes poles, wires, transformers, utility vehicles, office buildings, and the staff needed to maintain the system. How can I be assured I’m not paying too much or too little? Periodically the PUD conducts a Cost Of Service Analysis (COSA) to fine tune rates within each customer classification. The COSA can be completed in house by staff or by an independent 3rd party consultant. The structure of the COSA is designed to analyze each individual customer class, the PUD’s revenue requirement (amount needed to pay the bills), and all of the cost inputs for the utility. Once all of the costs and revenues have been analyzed, recommendations are made that assure each customer class is paying its fair share of the cost. Can I be included in the rate setting process? Yes. Rate hearings are open to the public and posted in local media. The Commissioners and Staff welcome public comment at both rate hearings and general commission meetings. Please refer to the Events section of this site for an up to date list of PUD meetings. Final rates are set by the publicly elected board of commissioners. Rates are set by resolution upon completion of publicly held hearings where the commissioners gather input from staff, 3rd party consultants, and most importantly the public.